At the end of July the Daily Mail organised a Circuit of Britain Air Race with a prize of £10,000 for the winner and Filton Aerodrome was chosen as one of the staging posts. The race was won by M. Beaumont piloting a Bleriot biplane; he narrowly beat a fellow Frenchman, M. Drones, who lost valuable time when he landed two hundred yards from the official landing place at Filton on the wrong side of the railway line. None of the aviators entered to fly a ‘Bristol’ plane distinguished himself. Graham Gilmore had his aviator’s licence suspended by the Royal Aero Club for dangerous flying over Henley Regatta and he could not start. Eric Gordon-England had engine trouble and gave up at Brooklands where the race had started. The biplane piloted by Collyns Pizey broke the undercarriage whilst landing near Melton Mowbray and Howard Pixton’s aircraft crashed near Harrogate. The event attracted great crowds, in numbers unprecedented in the parish’s history, to watch the event at Filton. Dominating Bristol museum's lofty foyer is a 38ft Bristol 'Boxkite' bi-plane, created in the early 1900s by the British and Colonial Aeroplane Co. A huge crowd turned out to see the plane's first public flight over Durdham Downs in November 1910. The Boxkite was developed in 1910 at Britain's first aircraft factory in Filton, Bristol. In spite of its name, it owed no more to the box kite principles developed by Lawrence Hargrave than other biplanes. It was powered by a 70 horsepower "Le Rhone" rotary engine. The aircraft first flew on the 29 July 1910 and went on to become Bristol's first successful production aeroplane. 76 were built, 61 of which were the extended military version, in the years building up to the First World War. 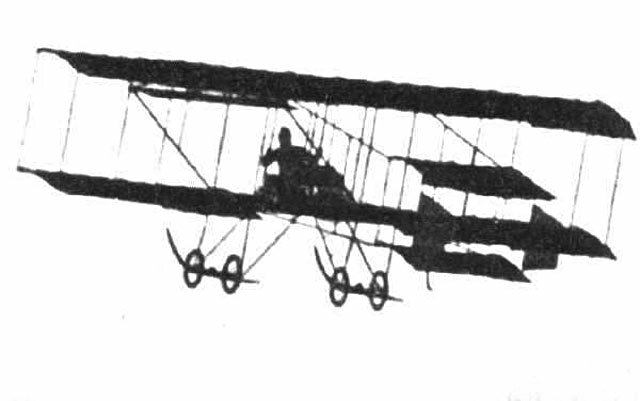 Four of these planes constituted the first order placed by the British War Office when it was set up in 1911. Production was at the Filton factory, which was set up within a tramworks. First plane to fly into RAF Bicester - Australia's first passenger flight took place in 1911, when John Hammond took his wife for a flight in Melbourne - First plane to fly into RAAF Williams, in Point Cook, Victoria - First aeroplane to fly into Perth Airport - No's 27/28/29 were sold by visiting Belgian Joseph Christiaens to the South African Army - Flight Lieutenant Pizey (born 1 April 1883 Clevedon, Bristol; died 11 June 1915 Athens, Greece) was one of the early pioneers of British flying, having gained his certificate No 61 in a Bristol Boxkite on Salisbury Plain on 14 February 1911 - he also took place in the Daily Mail Air Race that year. It was also the first aeroplane to land upside down in Brooklands Sewerage farm - Flight Lieutenant Frederick Warren Merriam was the first to enact the scene from the film Those Magnificent Men in Their Flying Machines. No original Bristol Boxkites aeroplanes survive today, although three authentic flyable reproductions were created for the film Those Magnificent Men in Their Flying Machines. One was sent to Australia, one to the Bristol City Museum and Art Gallery, and one to the Shuttleworth Collection in Bedfordshire.